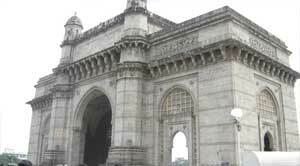 This Mumbai full day city tour is highly recommended if you have a more time in hand. 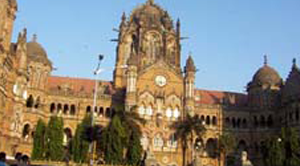 It showcases all aspects of south Mumbai. 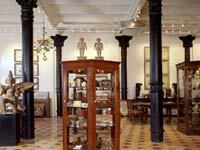 The full day city tour is a splendid potpourri of landmarks and monuments, temples and art gallery, lunch and shopping. All in all, the tour showcases the overall lifestyle of the people living in this metropolitan city. The tour allows you the opportunity to truly experience the city, appreciate its architecture and history and see local people as they go about their daily work. Recommended time of taking the tour is any time between 8 am and 11 am. This building is close to Rajabai Clock Tower in South Mumbai. The rich architecture is a mixture of French-Gothic design. The university has large circular windows depicting the 12 zodiac signs. The building was designed by Gilbert Scott. 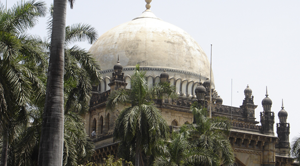 The Mumbai High Court is a beautiful building in South Mumbai. It is located next to the Rajabai Tower. Since 1672, the High Court serves as a seat for legal jurisprudence. This is one of the oldest serving High Courts in India. The neo-Gothic building was constructed in 1948. The Mahalakshmi Dhobi Ghar is a huge laundry in the open located just next to the Mahalaskhmi station. The laundry has 1026 square cubicles where washer men wash the clothes, iron them and then place them on strings to dry. The clothes to be washed are collected from households as well as establishments such as hospitals and hotels. The land and cubicles are owned by the Government and the washer men have to pay monthly rent for the cubicles and water supply. This dhobi ghat is a good photo stop from the bridge. The Colaba Dhobi Ghat is a smaller version of the Mahalakshmi Dhobi Ghat and you can even visit this dhobi ghat from inside. This sacred tank is located at Walkeshwar, South Mumbai. The tank is surrounded by small, 400 year old temples on all sides. Legend says that Lord Rama had shot an arrow at this place to quench his thirst and the Banganga Lake was formed. This is the most beautiful church in Mumbai, located near Flora Fountain, South Mumbai. The first Anglican Church of Mumbai was built in 1718. The interior has beautiful paintings and carvings. Timings are 6.30 am to 6 pm. Also known as St John the Evangelist, the church is located at Navy Nagar in South Mumbai. Architecture is Gothic and it was built by Saint John the Evangelist in 1858. It was built to respect the British soldiers who were killed fighting in the first Afghan War. The church has a tall spire that can be seen from many parts of South Mumbai. This is an area of bustling activity in the morning. 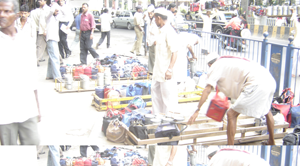 Located close to Colaba, fishermen get their catch here and then auction their catch to the highest bidder. Sorting and drying of fish also takes place here. Photography strictly prohibited. Enjoy a sumptuous lunch in an Indian restaurant and let the different dishes and desserts tickle your taste buds. You can even shop for Indian souvenirs as well as carpets, jewellery, clothes or simply memoirs to take back home.